So you’re headed to Colorado for a ski vacation. There’s a good chance you’re coming here for Vail. At one point, Vail Mountain was named the most-visited ski resort in the nation, and Ski.com’s 2017 report put it at No. 4 of the most popular ski vacations. The resort itself boasts it is the third-biggest ski resort in the United States, only behind Park City, Utah, and Big Sky, Montana. Vail boasts the fourth-biggest skiable terrain in North America. The mountains of Vail and Breckenridge are two of the busiest in the nation. In 2014-15, they saw 5.6 million skiers; the company that runs Vail, called Vail Resorts (which also includes Keystone and Beaver Creek), doesn’t release data for individual resorts. 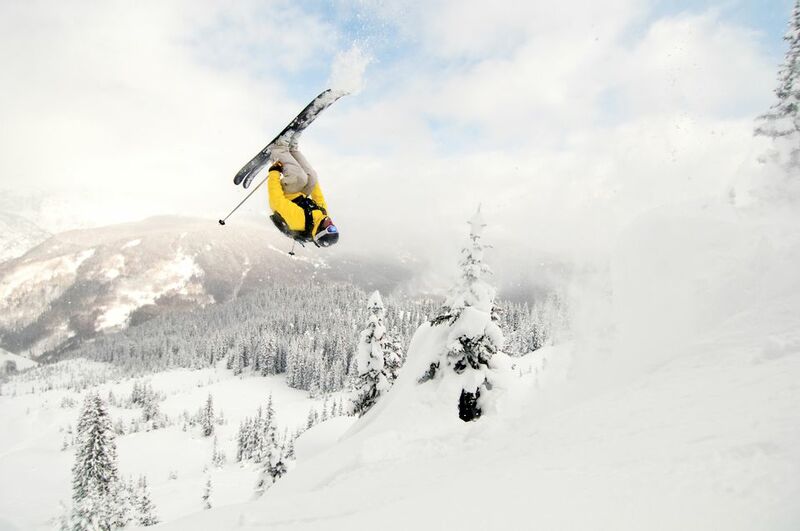 Vail Resorts is the biggest ski resort operator in the country. Those numbers continue to grow. Vail Resorts' season pass sales for the 2017/18 ski season were already up 10 percent by May 2017, compared with the previous year at that time. There’s no denying it. Vail Mountain is popular. A day on the slopes or even driving up Interstate 70 to get there makes that obvious even without the stats. Vail is located in the White River National Forest, about three hours west of Denver on Interstate 70. The pros of this destination: luxurious accommodations, fluffy powder, a large front side of the mountain, two different downtown areas with excellent restaurants (with charming Swiss-style architecture), wide open terrain, "the most groomed terrain on the planet" (that's the resort's claim). The cons: Vail is expensive. There aren't as many steep pitches as some resorts. And boy, it can get crowded. If you’re headed to Vail, planning ahead will help your experience run smoothly. Here’s what you need to know about a ski vacation on Vail Mountain. 5,289 skiable acres; 3,450-foot vertical drop; 18 percent beginner, 29 percent intermediate, 53 percent expert/advanced. Vail has three sections (Front Side, Blue Sky Basin, Back Bowls). The seven back bowls stretch across seven miles. The longest run is Riva Ridge (four miles). Vail has a variety of types of terrains for all levels, although this is mainly a mountain for talented skiers. Advanced: More advanced skiers can try Golden Peak and Bwana Terrain Parks. Explore the Sun Down Bowl or the China Bowl. There are plenty of adventure in the Back Bowls, but the Front Side has the popular Riva Ridge, a long, pretty steep run with amazing views. Intermediate: Intermediate skiers will find terrain across the front to the back sides of the mountain. Start on the front side, maybe Practice Parkway or the Sourdough lift, before building your way over to the Mid-Vail Express. Test your skills on the Northwoods. If you're still feeling strong, venture over to the Back Bowls. This part of the mountain can feel intimidating, but don't let it be. There are runs here for all levels. Try Lost Boy and Dealer's Choice. You can find intermediate terrain on Blue Sky Basin, too, such as Grand Review. Beginner: Practice Parkway is a good beginner run. Kids can explore the safe Kids’ Adventure Zones. First-timers: Newbies can sign up for Vail’s great ski and snowboarding school with qualified teachers from around the world, including former Olympic athletes. Adult tickets start at $135 per day. A child ticket is $93. The best bet is an EpicDay card. A two-day EpicDay pass is $270 for an adult and can save you about $64. A three-day EpicDay pass is $384. Even better, look into Epic passes that get you access to multiple different ski resorts for discounted rates. It’s hard to narrow down the best restaurants in Vail. There are so many. La Tour: La Tour is a popular, longstanding French restaurant with French onion soup to die for, especially after a cold day on the hill. The wine list here is renowned. Matsuhisa: This hip restaurant serves up incredible Japanese fare in the heart of downtown, complete with oversized windows looking out right at the slopes. The lengthy bar is a great place to grab cocktails, too. Mountain Standard: Mountain Standard (and its sister upstairs, Sweet Basil) are gold standards, located right on the river. Mountain Standard, with its relaxed atmosphere and open kitchen, serves the likes of oyster shooters, corned pork shank or a wedge salad with crispy prosciutto. The food here is filling, comforting and warming, and the vibe is, too. 10th Mountain Whiskey & Spirits: Visit 10th Mountain Whiskey & Spirits, Vail's local distillery, for a taster and cocktail. Sink into the cozy couch with a sip of locally made vodka and learn more about the history of the area. This distillery was named after the 10th Mountain Division, a mountain warfare group that used to be settled in the area. See historical paraphernalia throughout the cozy tasting room, which overlooks the lovely river in downtown Vail Village. Remedy: The Remedy Bar inside the Four Seasons Vail serves up innovative cocktails. Grab a seat on the balcony by a firepit with a direct view of the mountainside for the best views and drinks in town. Try the Haute Chocolate, which has been named one of the best hot chocolates in the world (and for good reason). There are a handful of different places to rent your ski gear on the mountain, such as the multiple Vail Sports locations. If you want to reserve your gear online, visit rentskis.com. You can reserve your skis online and pick them up slopeside or even have them delivered to your hotel room. Bonus: If you book online, you can save money on the reservation. Vail offers ski and snowboard classes for people of all abilities. There are even classes for specific populations, including the women’s program, Her Turns; the DEVO program for children; and the Focused Learning System Programs, an accelerated clinic for intermediate and advanced skiers. Don't like to ski or board? No problem. Vail has plenty of winter activities that don't involve boards on your feet. There's an alpine roller coaster that will bring you soaring 3,400 feet down the side of the mountain and through the snow-covered forest. Or go tubing, snowmobiling, ski biking (yeah, that's a thing) or snowshoeing. The Nature Discovery Center offers free, guided snowshoe tours every day at 2 p.m. (including free snowshoes for people ages 10 and older). Another special way to explore the powder is in an evening snowshoe tour. It's a totally different view of the mountain, after the slopes close and as the day winds down. These tours are at 5:30 p.m. and they're free, too. While you're at the Nature Discovery Center, take some time to warm up and look at the interesting, educational displays and play some games. You'll learn how to identify animal tracks and see the pelts of various animals that live in the area. This cozy yurt at the top of the gondola is especially popular among families. There is a ton of great lodging in Vail. Unfortunately, due to the layout of the town, there are no true ski-in, ski-out resorts. But most are within a short walking distance to the lifts. Four Seasons Vail: The top-of-the-line lodging is the Four Seasons Vail, located in between the two downtowns, with a Forbes Five-Star spa, a great fitness center, heated outdoor pool with mountainside views and a delicious steakhouse serving kobe steak. Views from the balconies here are hard to top. If you get a mountain-facing room, you may be able to wake up to see the skiers right from your fluffy bed. After tackling the slopes, make sure you grab a toasty hot chocolate at the Remedy bar and a chair next to the fire pit. Sonnenalp: The Sonnenalp is another popular hotel. This Swiss-inspired resort has a totally different feel, but also boasts a great spa and indoor-outdoor pool. The Sonnenalp is known for having the best bathrooms in Vail. They're spacious, luxurious and have heated floors. Rooms have a charming, European flair to them. Curl up by the fireplace with a bottle of wine after a long day on the mountain. Soak your sore muscles in your room's oversized, extra-deep, jetted tub and then wrap up in a plush bathroom. It's all part of the package here. Antlers at Vail: If you don’t mind the drive or short shuttle ride, are on a tighter budget and want more of a homey feel, Antlers at Vail rents out fully equipped condos with complete kitchens, so you can cook your own meals. This can save big bucks, although definitely save some money to go out to eat at least once. Antlers is ideal for families who want a little more privacy and an independent, condo feel, rather than the traditional luxury resort experience. That being said, Antlers is still exceptional. Try to score a room with a balcony overlooking the scenic river. The Sebastian: The Sebastian is where to stay if you crave a hip, contemporary, artistic, luxurious boutique environment. You will find limited-edition art exhibits scattered throughout the hotel, access to a spa, fitness center, pool and beautiful hot tub terrace. Rooms are finely appointed with details like Egyptian cotton sheets, cozy bathrobes and high-quality furniture. The Sebastian is located right in the center of Vail with easy access to the free bus. Families will appreciate the kids' room, set up to entertain the littlest travelers.